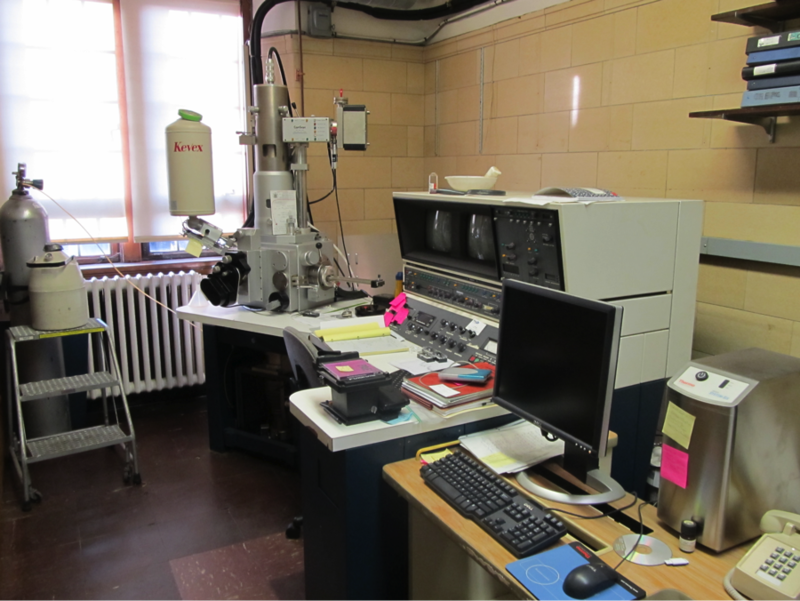 This scanning electron microscope has its own laboratory in Clement 113. It is one of several electron microscopes being used at Trinity. This particular instrument has its focus on the analysis of chemical samples. It is primarily used by Professors DePhillips and Parr and their research students.